A reader wants an annuity for his wife, but there are a lot of choices to consider. 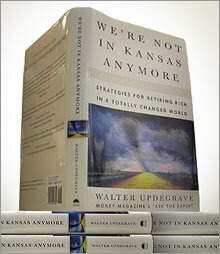 More information on Updegrave's new book. NEW YORK (CNN/Money) - I'm retired and in my 70s and considering buying an annuity. I don't need it for myself, but I want my wife to have it in case I die before her. Do you think I should buy one? Before I answer your question, let me explain for those uninitiated into the mysteries of annuities -- and that includes almost everyone -- what type of annuity you're talking about.